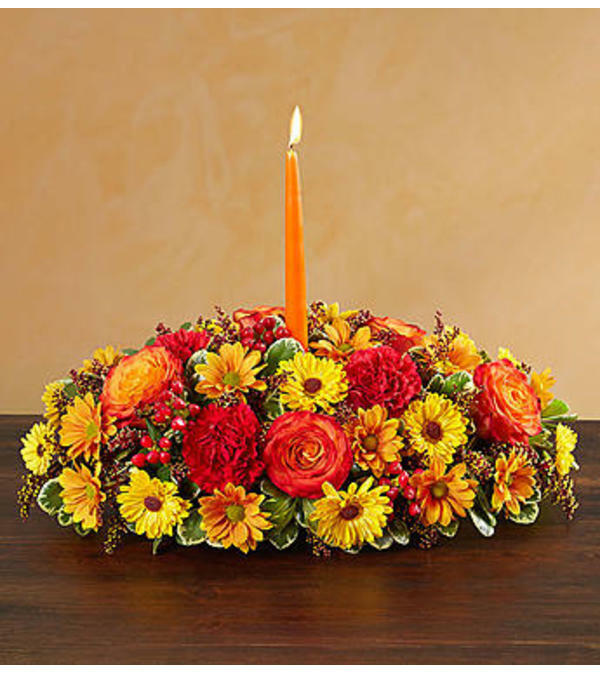 Bring some autumn warmth to their home with a classic and colorful centerpiece. Our lively arrangement is hand-designed with rich and radiant blooms, and finished off with an orange taper candle to cast a cozy glow over gatherings with family and friends. Order now, and for a limited time, get twice the flowers for free!